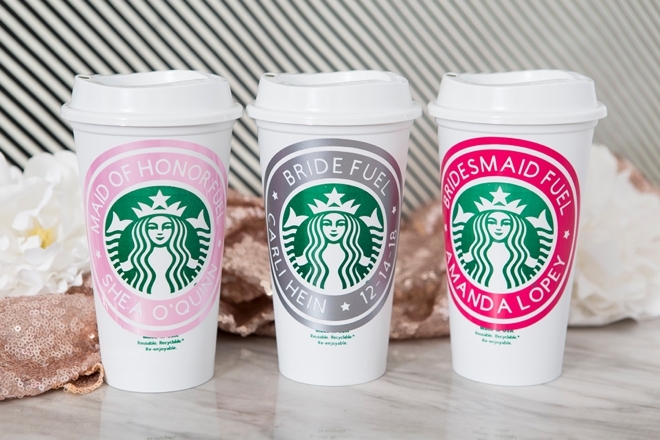 These Personalized To-go Starbucks Cups Are The BEST!! 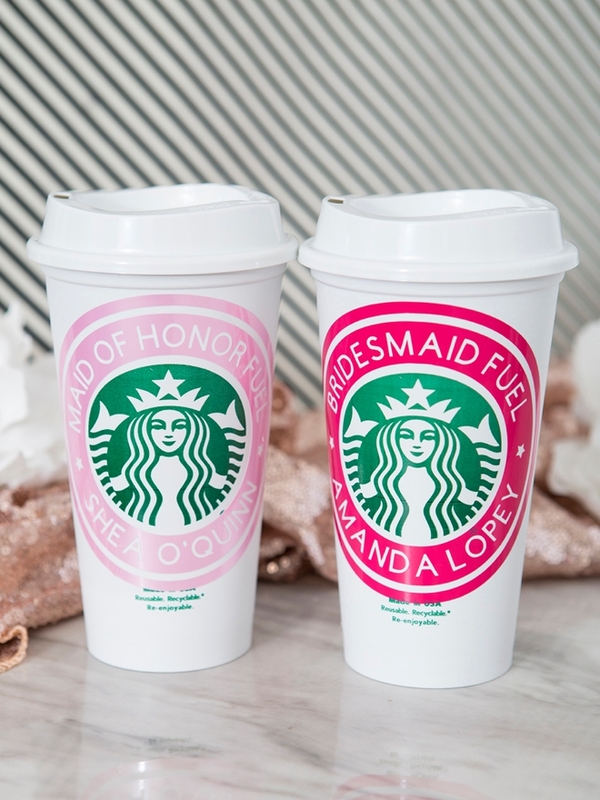 Today is International Coffee Day and in honor we’re sharing a darling way to personalize the reusable to-go cups from Starbucks, the perfect idea for your bridesmaids! 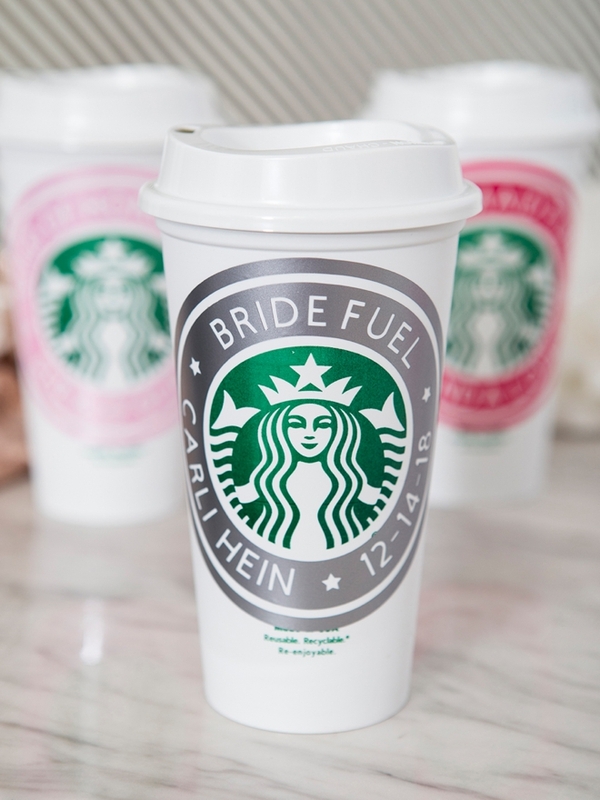 Add a Starbucks card or maybe a bag of beans and this gift will energize them to help you with all your wedding planning needs. 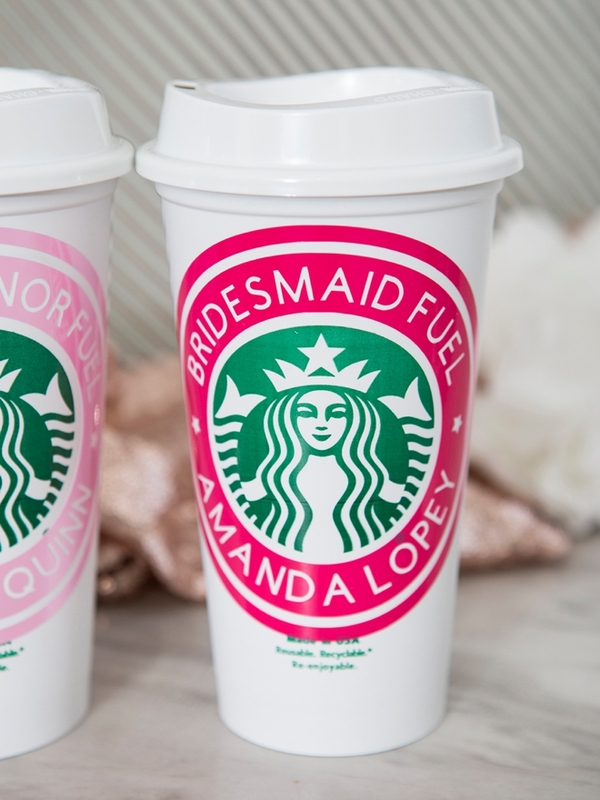 Our Cricut Maker is responsible for this fabulous custom vinyl sticker and the best part is that Cricut’s brand new Premium Vinyl has a permanent version that can be washed without it coming off the mugs! 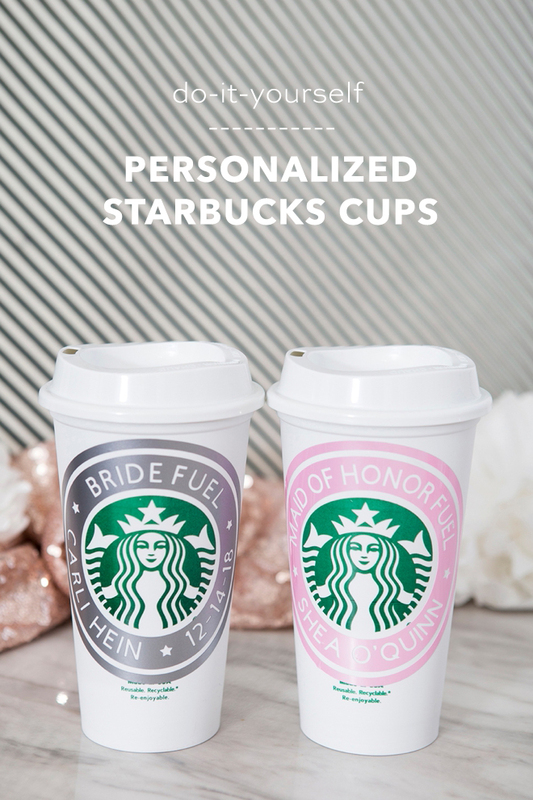 If you aren’t the bride but know one who loves her coffee, this would make a terrific engagement gift to keep up her wedding planning energy! 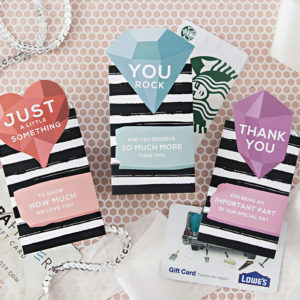 Follow this link to personalize our exact cut files in Design Space! 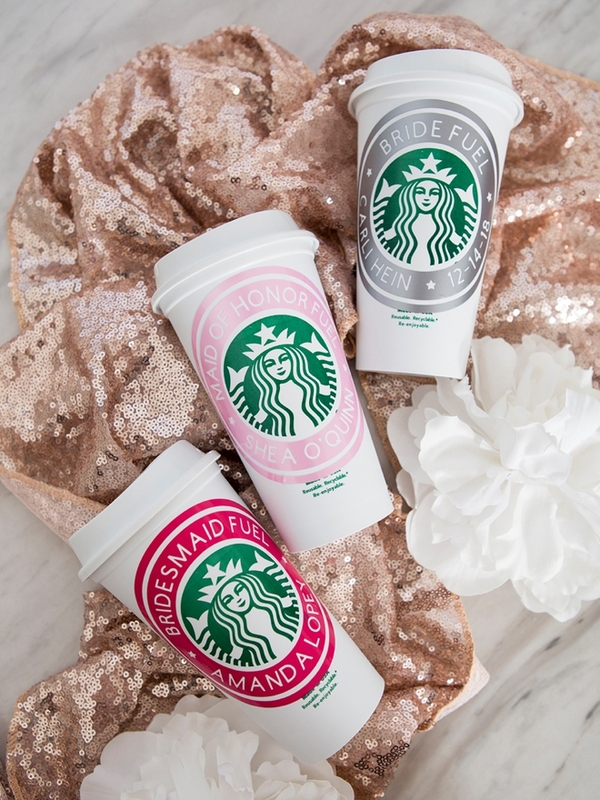 Watch the quick video below to learn how easy it is to personalize our free file! Follow this link to be taken to our Design Space canvas where you can find these files! Weed, aka. 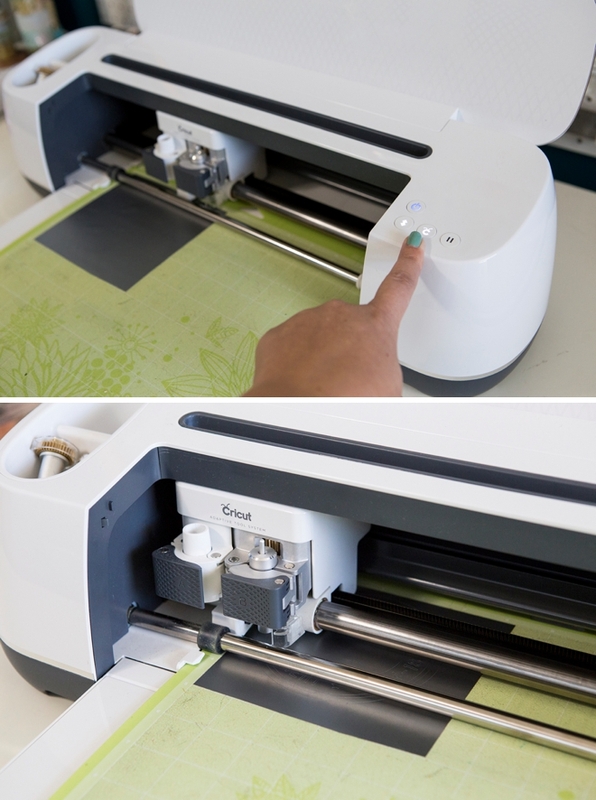 remove, all the non-design areas of the vinyl sticker using the piercing tool. 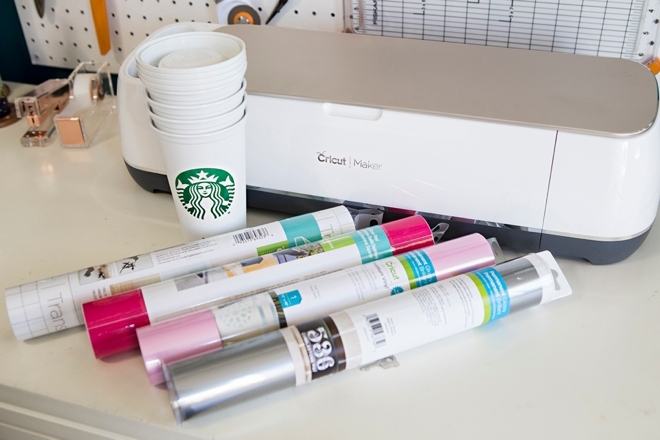 Transfer tape is the BEST and if you’ve never used it, you must try it. Basically you transfer your new vinyl stickers from their base to a clear film so you can properly position them on their final resting place. 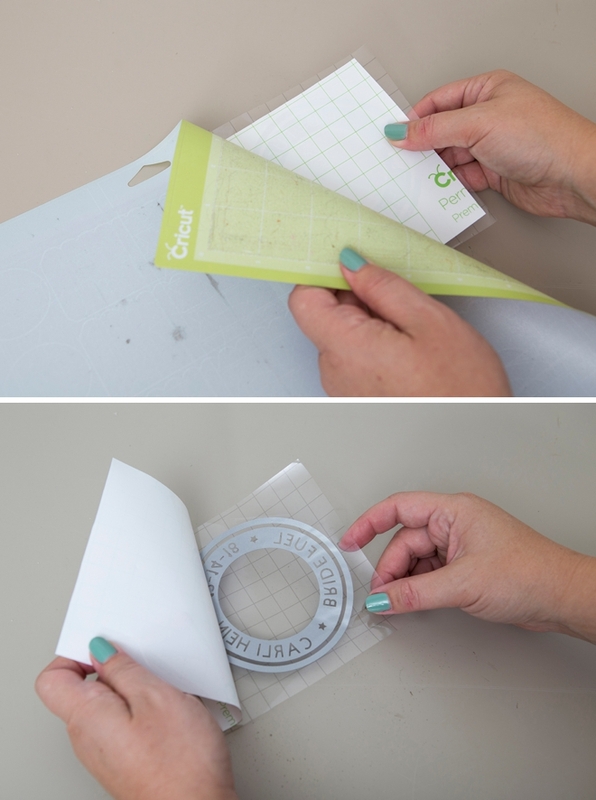 Cut a piece of transfer tape just larger than your designs, peel and evenly smooth on top of the vinyl. It can be helpful to peel the vinyl stickers off backwards, by peeling the mat off instead of the sticker. It helps keep the sticker intact. 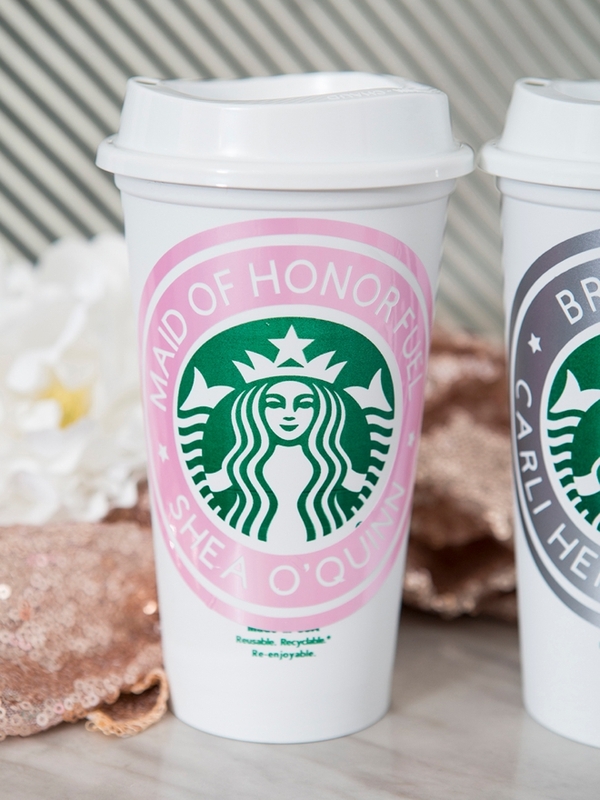 Now carefully peel the transfer tape and your new sticker from the vinyl backing and then place them onto each cup, centered carefully around the Starbucks circle. 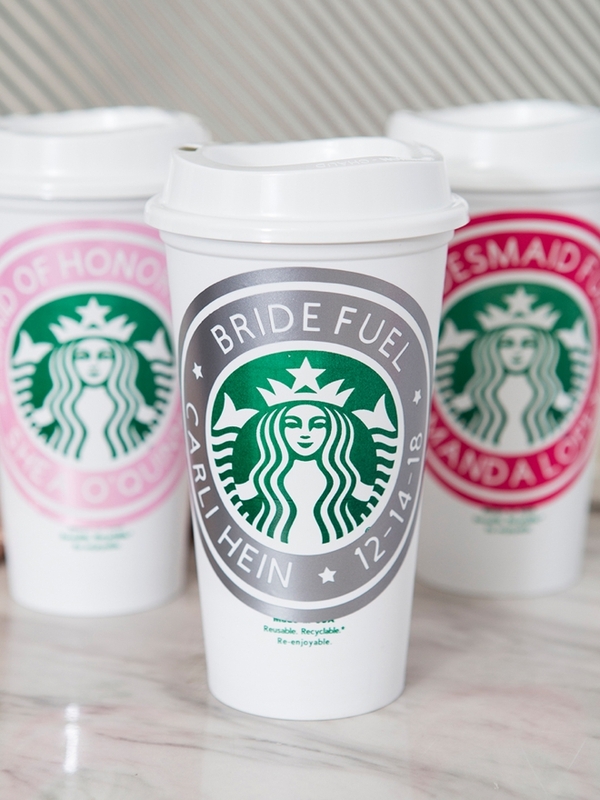 Burnish a little and carefully peel the transfer tape off, leaving a perfectly personalized coffee cup! 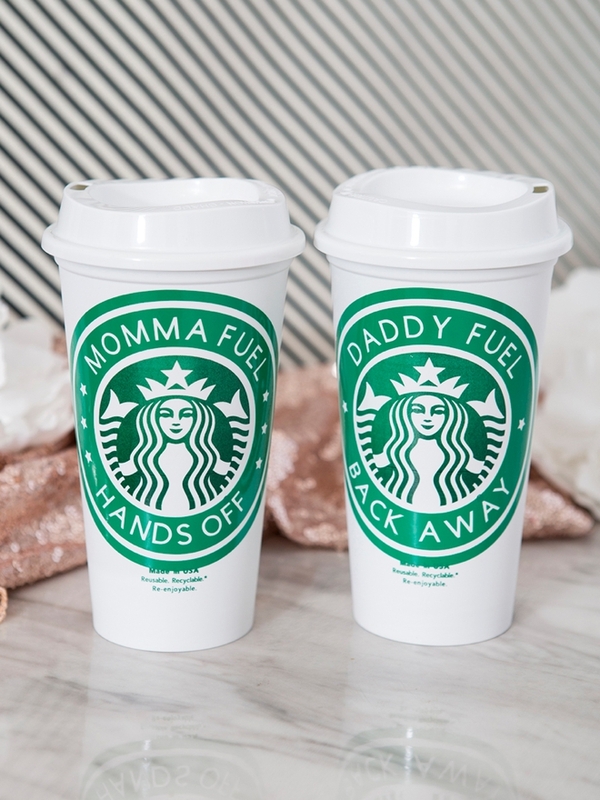 I’m a brand new Mom and this is no joke… I almost can’t make it through a day without a cup of Joe, so I used this file to make cups for me and the Mr!